After spending a great summer in California, I headed back to my second home in Florence. 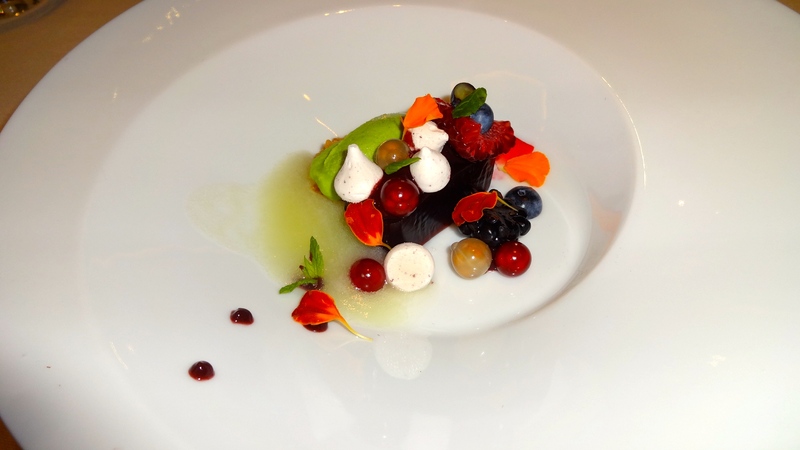 My boyfriend, Tommaso, had been doing a culinary stage at Metamorfosi, a one Michelin star restaurant in Rome. If you didn’t know, staging is usually an unpaid internship where cooks briefly work to get more experience in a professional kitchen and to learn new techniques. I was excited to try the restaurant not only because Tommaso was working there but also because the food looked sublime! Over the summer when I was in California, he would send me all sorts of cool photos of dishes that the restaurant was serving. 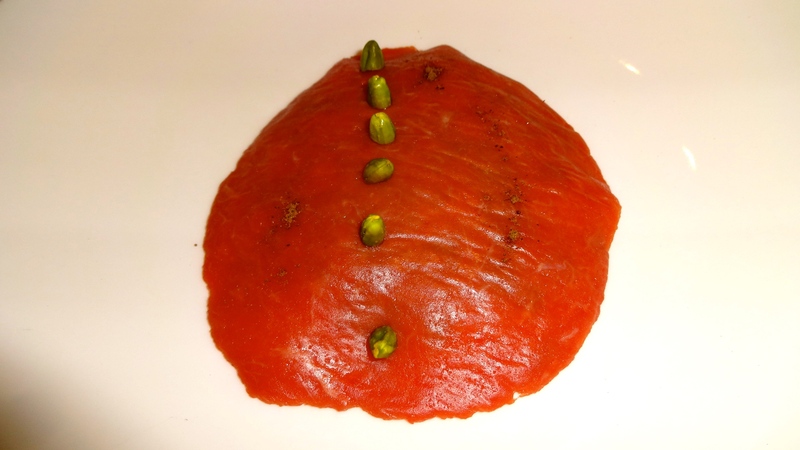 Even though Metamorfosi is considered modern Italian cuisine, the chef Roy Caceres was born in Colombia and therefore very open to using ethnic ingredients in his creations. When I dined there, I decided to order the nine course degustation menu to try as many dishes as possible. Since Tommaso was working in the kitchen, he asked if they could change some of the items in order for me to try some of the restaurant’s signature dishes. 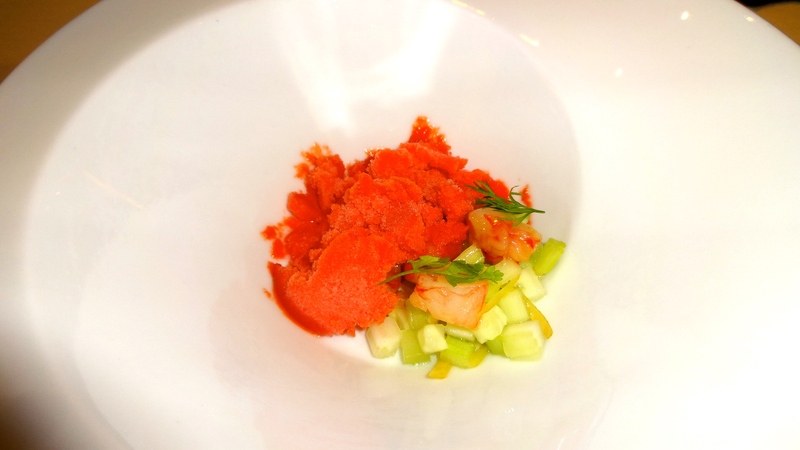 Amuse Bouche: Frozen Gazpacho (7/10). 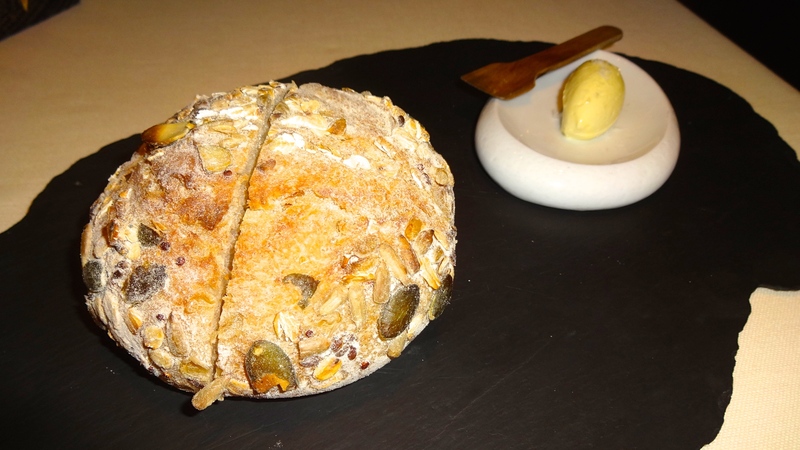 Multi-grain Bread with Olive Oil Butter (7/10). 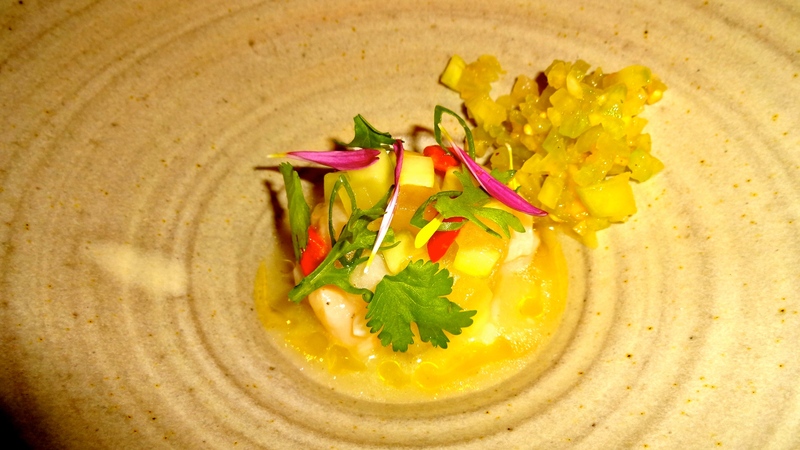 Scallop Ceviche with Compressed Melon and Green Tomato Relish (8/10). 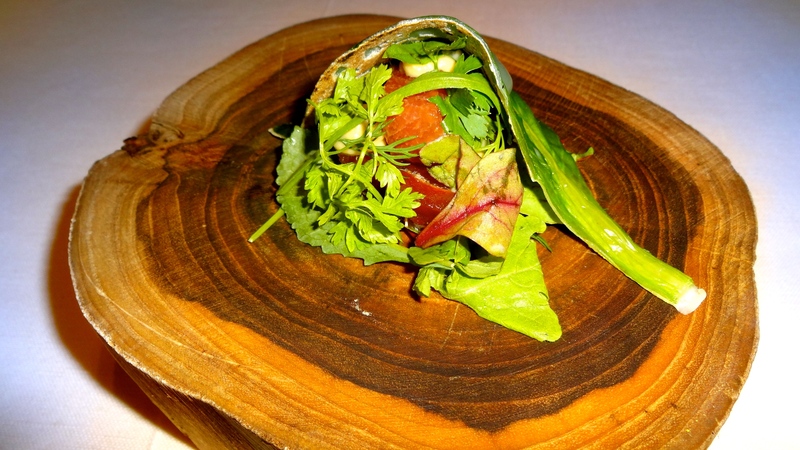 Raw Tuna with Herbs wrapped in Chard Leaves (8/10). Foie Gras Carrot with Hazelnuts and Pan Brioche (8.5/10). 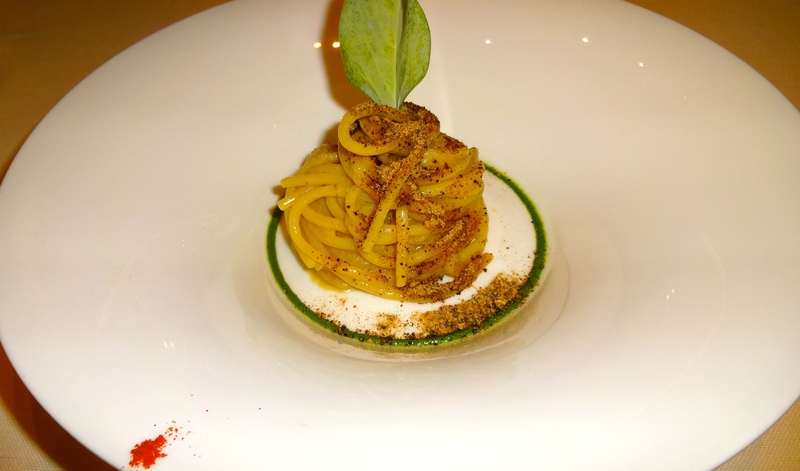 Spaghetti with Oyster Cream and Mussel Powder (9/10). 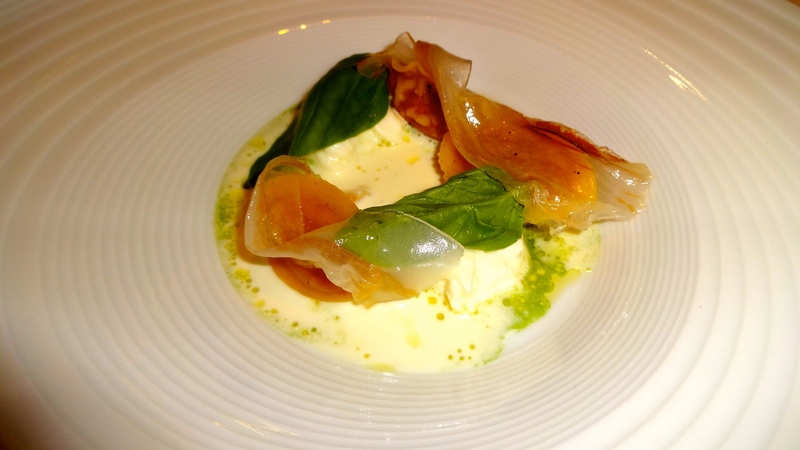 Tomato Ravioli with Burrata Cheese, Mascarpone Cream, Guanciale, and Basil (8/10). Risotto with Blu del Monviso Cheese, Pistachio Cream and Raw Beef (8/10). 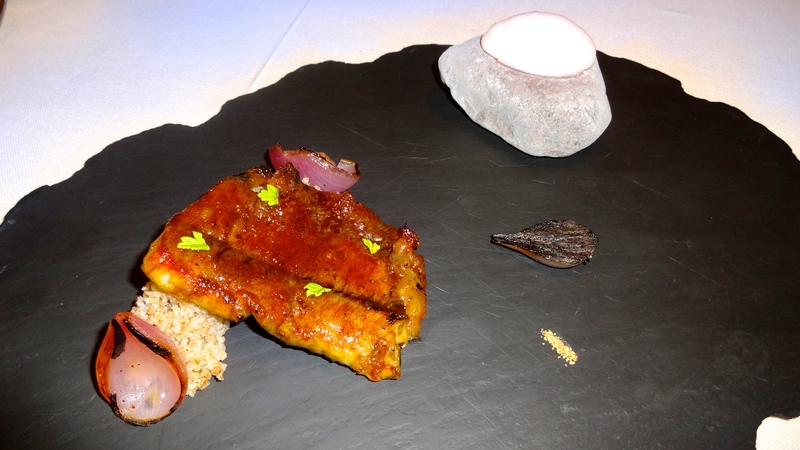 BBQ Eel with Spelt, Onions, and Carpione Sorbet (9.5/10). 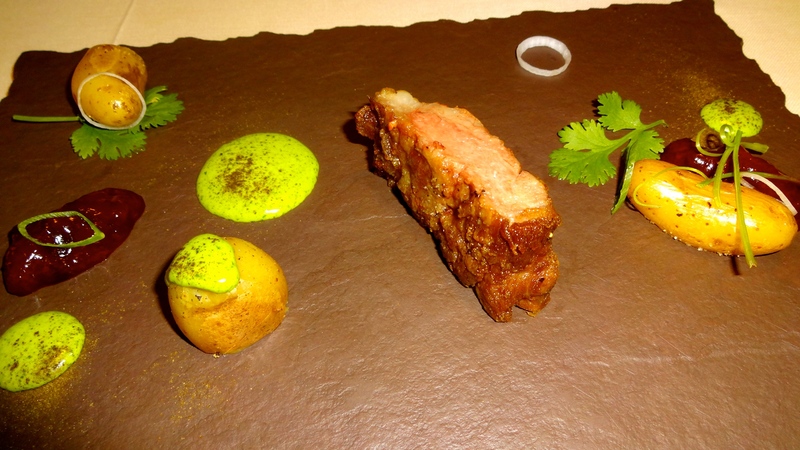 Iberico Pork Loin with Salsa Verde, Prune and Onion Jam, and Fingerling Potatoes (8.5/10). 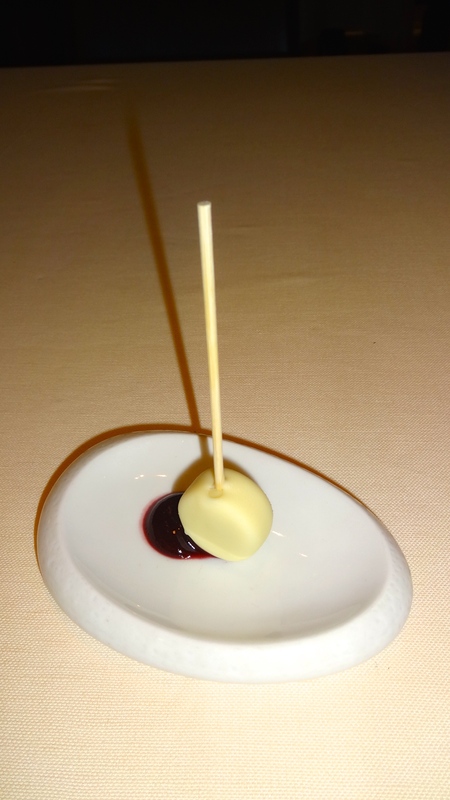 White Chocolate Lollipop Filled with Blue Cheese and Port Jam (8/10). Fruit Jelly with Meringue, Dill Sorbet, and Melon Soup (7/10). I’ve been to a few fine dining restaurants in Rome over the last few years but I have to say Metamorfosi has been my favorite so far! Service was impeccable and every dish was elegantly presented with flavors that were vibrant and delectable. A few favorite dishes of the night were the raw tuna, foie gras carrot, spaghetti, and eel. First, any dish with raw fish I’m already a huge fan of (maybe since I am Japanese). The raw tuna dish had several types of herbs with it which added pops of freshness. It’s meant to be eaten with your hands which is also really fun! The second dish I loved was the foie gras carrot. 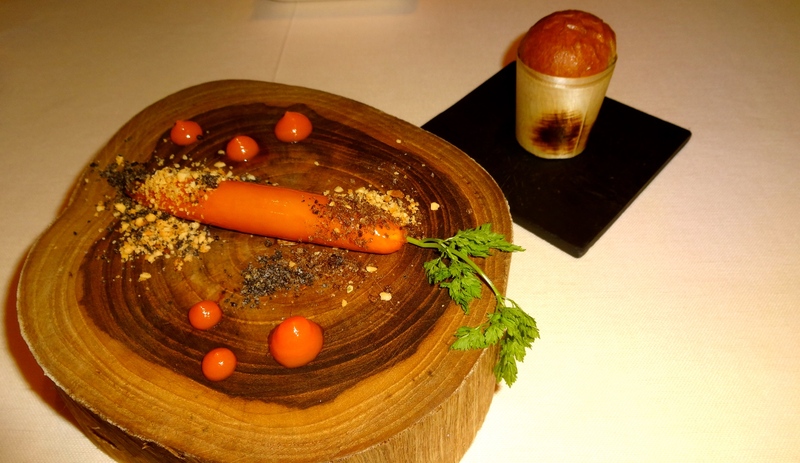 What a delightful and cute presentation of a fake carrot stuffed with foie gras mousse served with buttery pan brioche. I mean you can’t go wrong with that. Next, the spaghetti dish was absolutely divine. Perfectly al dente cooked pasta with a creamy sauce made from raw oysters. The flavor of oysters was extremely delicate, not overpowering what so ever. The crumble on top was made from dehydrated mussels which they grind into a powder giving the dish the necessary textural component it needed. On top, they use a special herb called oyster leaf which remarkably tastes like an actual raw oyster! How cool is that?! My last favorite dish of the night was the barbecued eel. A sweet glaze is slathered on the eel while it’s slowly cooking on a homemade Japanese style grill, giving the eel a crunchy crust. The flesh inside is moist and tender beyond belief! It’s served with a carpione sorbet, made from a pickling solution, which is the perfect acidic accompaniment with the sweet eel. 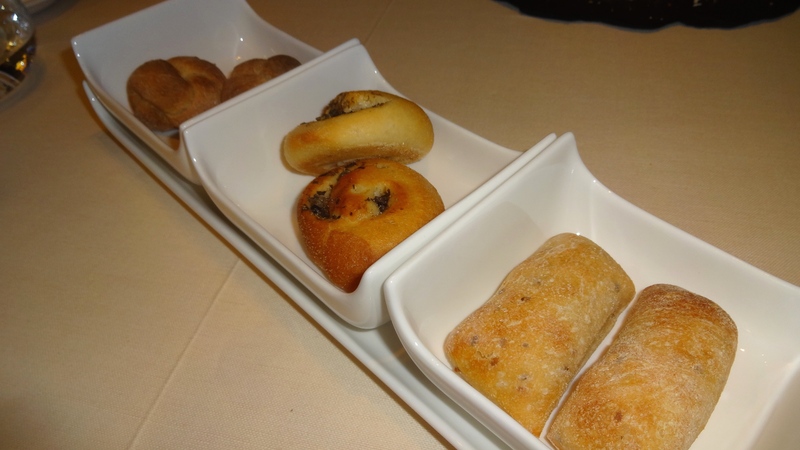 My dining experience at Metamorfosi was truly heavenly. Chef Roy Caceres does an immaculate job of putting different flavor combinations together in a creative way that all makes sense. Therefore, my overall rating is a 8.5/10. I highly recommend coming here for top class Italian food but with a twist. Be sure to check out my post on Rome also! Those plates look amazing! Can’t wait to try them when I go to Italy. Pingback: When in Rome. | Sale, Pepe, Amore. Pingback: Lido di Jesolo. | Sale, Pepe, Amore.